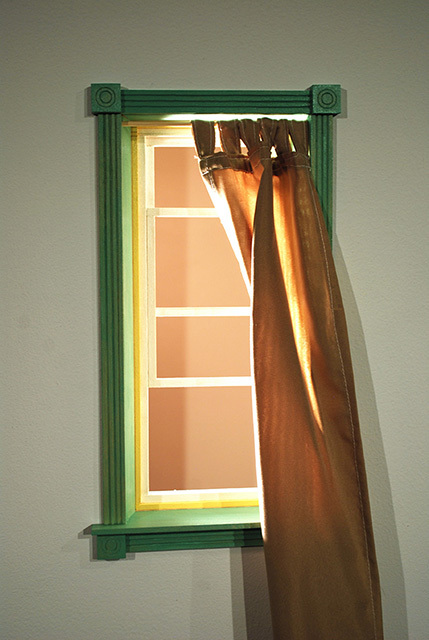 The philosophical questions surrounding existence in connection to personal relationships, architectural interiors and exteriors, home furnishings, and objects is a dialogue inherent in my work. I personify inanimate objects to shift the context to the body, acting as a character, to create situations exploring mental and physical proximity of personal relationships. 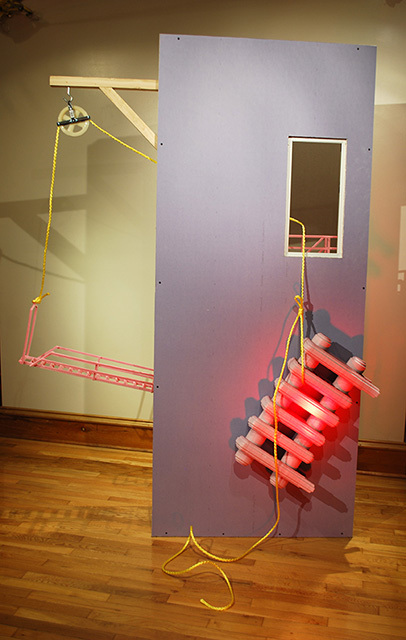 My sculptures and installations use various combinations of altered domestic objects, building materials, audio, video, and/or photography to create an experimental aesthetic experience. I use ideas of building, construction, removal, and exposure to investigate the emotion of personal relationships and experiences. I grew up in a fairly average middle class suburban area. My father, uncle and grandfather built the house I grew up in. The house was livable, but many areas remained unfinished, such as the outer cinder block, and exposed trusses and insulation foam in the attic. So i grew up seeing the house evolve become more complete. Later in graduate school i realized how the building and exposed structures really stayed with me over time, and growing up in that space truly made a lot of sense for me to explore in art making. I think studio practice is constantly changing and evolving over time depending on where you are and what you have available to you. When you are in school you have constant access to space and tools. Having studio space and time becomes more precious over time. In the past I spent more time in the studio just looking and thinking than physically making. Now I let ideas evolve over time with me in daily life, then when time is available I will use pockets of time to physically build work. My wife, Emily and I share a studio space which is also a part of our apartment, so the studio is always there visually, but not always occupied. We move in and out of the space as needed, but the presence of the space is always there. Navigation…,2014, polystyrene, thermal foam, wood, paint, carpet padding, Approx. 72” x 48” x 48” installed. When I first started making art I just liked making stuff. I learned a lot in school about combining strong technical skills with strong content. I reached a point where I thought I needed to make highly conceptual art, yet it lacked personality. Eventually my body of work become more personal and much more visually interesting for me. I never thought that anyone would care about personal narratives in work, or just be alright with unfinished materials. 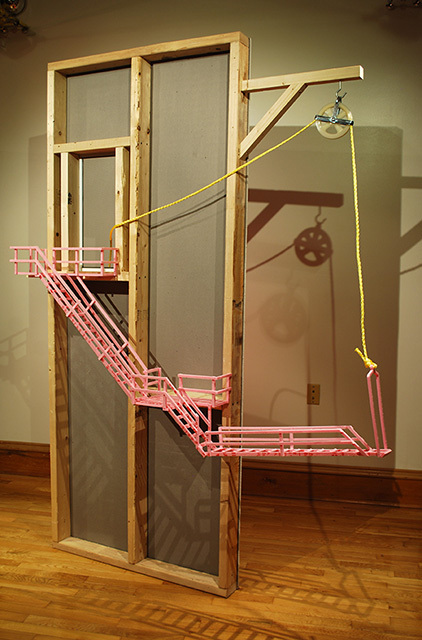 I love the beauty in the aesthetic of raw 2X4 lumber, drywall, and bright pink insulation foam. Weekends tend to be the best days. Or any free days I am not teaching. I tend to work the best in the later morning or early afternoons. I need to have been awake for a while to actually get going in the studio. I feel I have began to refine my technical finish of works more while still maintaining a sense of exposed materials. Now I paint things more and use clear finish to seal the exposed wood. 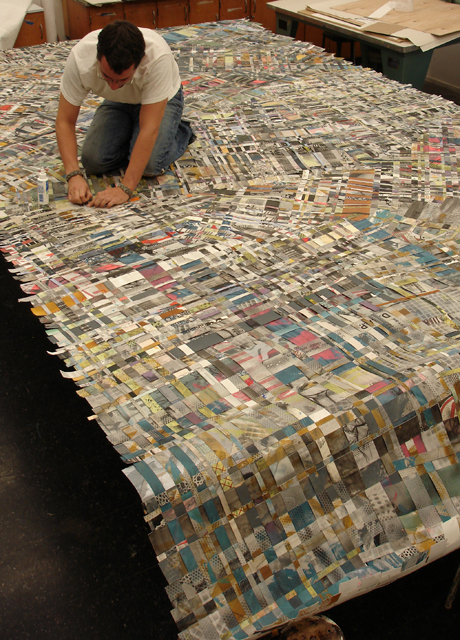 I’ve experimented with more fluid material such as carpet padding and fabric in recent works. It remains the same in a consistent interest in building materials and mimicking small elements of furniture and architecture around me in daily life. As I mentioned earlier, I was influenced by my father, uncle and grandfather building the house I grew up in. I’m influenced by my wife’s creativity, i consider her one of the most intelligent and interesting minds I’ve had the privilege to know. The layers and connections in making art in work fascinate me. We have collaborated on a few works. I have always been interested in the work of artists Bruce Nauman, Tim Hawksinson, and in some senses James Turrell. Outside of being an artist I do teach, which I love. Part of me has always wanted to pursue music, some thing with drums/percussion. But I always see those cars on the highway with the WIDE LOAD signs, and always thought that was great. I could just lead or follow some giant thing on a truck around the country. 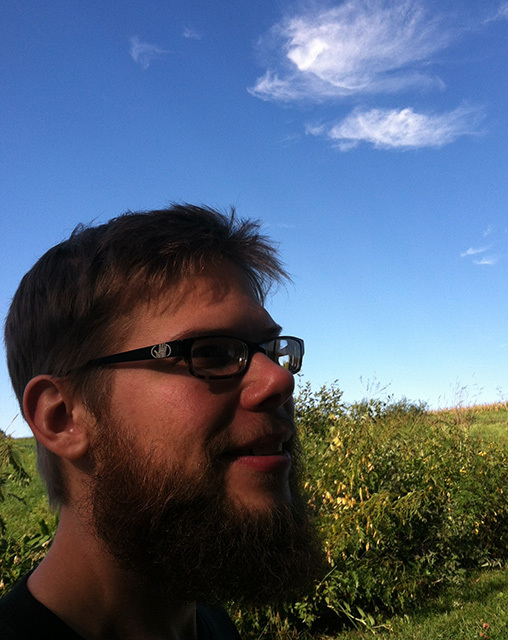 Ron Longsdorf (b. Greensburg, PA) has training in sculpture and he considers himself a curator of objects and materials. His body of work combines various elements of sculpture, installation, video, audio, and performance. Ron holds an MFA in Sculpture from the University of Delaware and a BFA in Sculpture from Pennsylvania State University. He has exhibited nationally and internationally, including, Delaware; Pennsylvania; New Jersey; Ohio; Virginia; California; Texas; Brooklyn, NY; Baltimore, MD; Lexington, KY; Minneapolis, MN; North Carolina; South Carolina; Berlin, Germany; and Limassol, Cyprus. 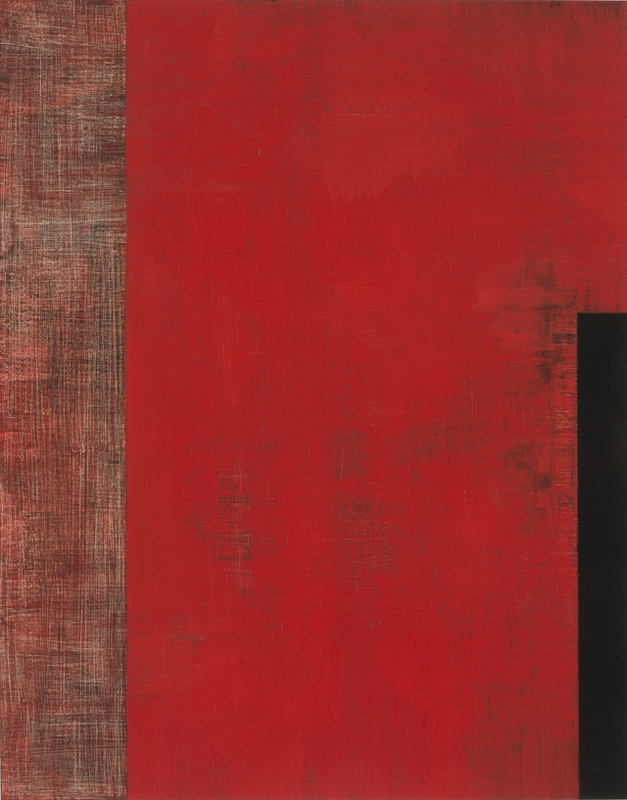 Ron has attended residencies at the Vermont Studio Center, Art Farm in Nebraska, Elsewhere Artist Collaborative in Greensboro, NC, HUB-BUB in Spartanburg, SC, and Stonehouse in Miramonte, CA. In 2009, he received an Individual Artist Fellowship from the Delaware Division of the Arts, as well as several Individual Artist Opportunity Grants from the Delaware Division of the Arts. Ron is currently an Assistant Professor at Kutztown University of Pennsylvania, Kutztown, PA. 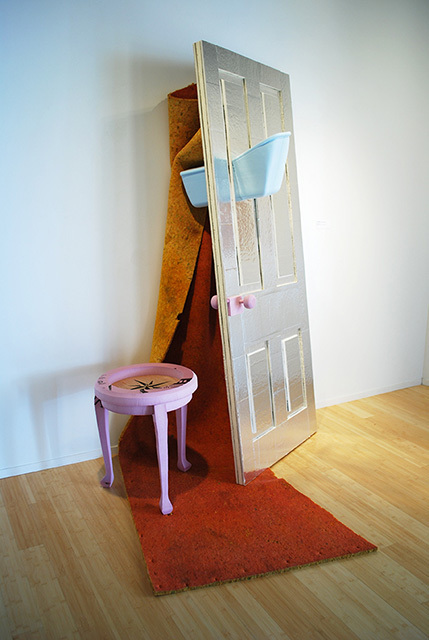 This entry was posted in Installation, Sculpture and tagged architectural, Installation, pink foam, reading, sculpture. Bookmark the permalink.